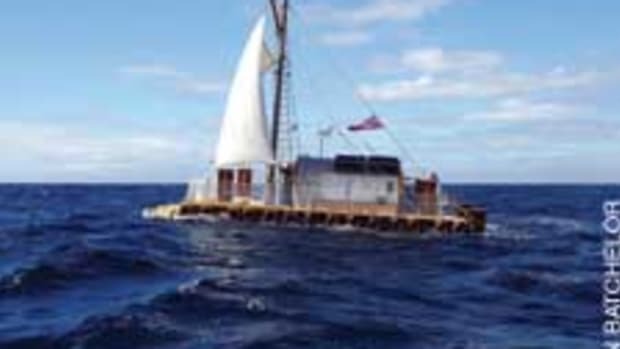 Jarle Andhoy, skipper of Berserk, the steel-hulled sailboat lost with three crewmembers aboard in a massive storm in Antarctica&apos;s desolate Ross Sea, could return home to Norway facing charges that he undertook the polar expedition without permits that would have required a review of safety procedures and contingency plans. 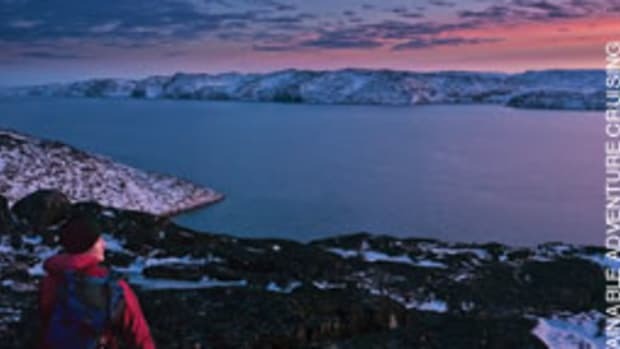 The Norwegian Polar Institute, Norway&apos;s certifying authority for Antarctic expeditions, says it had referred the 34-year-old Andhoy to prosecutors for failing to acquire the permits and for not complying with regulations that include considering the expedition&apos;s environmental impact, providing the institute advance notice of his plans, and carrying search-and-rescue insurance. The 48-foot Berserk had just dropped Andhoy and fellow Norwegian Samuel Massie, 18, on the Ross Ice Shelf to make their way 1,000 miles overland to the South Pole on all-terrain vehicles to mark the centennial of Roald Amundsen&apos;s historic trek to the pole. The vessel&apos;s last known position was 18 nautical miles north of Scott Base in the Ross Sea, where at about 5 p.m. Feb. 22 its EPIRB activated in a fierce late-summer blizzard. The storm swept 15- to 25-foot swells through the Ross Sea and sent 95-mph winds exploding off 12,500-foot Mount Erebus, located near the Scott Base, according to the New Zealand Rescue Coordination Center. Forty-five minutes later, the EPIRB signal stopped. New Zealand&apos;s 278-foot naval ship Wellington, the 236-foot expedition cruise ship Spirit of Enderby and the Sea Shepherd Conservation Society&apos;s 195-foot anti-whaling vessel Steve Irwin and its helicopter searched 10,000 square miles of the Ross Sea and McMurdo Sound during the next seven days, finding Berserk&apos;s life raft and some debris - an oar and small bags of emergency drinking water. The rescue coordination center says the raft - inflated, with its canopy torn off - was recovered 45 miles north of where the beacon activated. The raft appeared not to have been used and likely inflated automatically and floated off Berserk, according to the rescue center. The missing were identified as Tom Bellika, 36, and Robert Skanes, 34, of Norway, and Leonard Banks, 32, of the United Kingdom. Andhoy and Massie were 100 miles from Scott Base when rescue coordinators reached them by satellite phone with news that Berserk might be in trouble. The two made their way to the base, where they were put on a plane to New Zealand while rescue authorities continued to search. While some were holding out hope that Berserk might have lost communications and drifted north with its crew, Sea Shepherd president Capt. 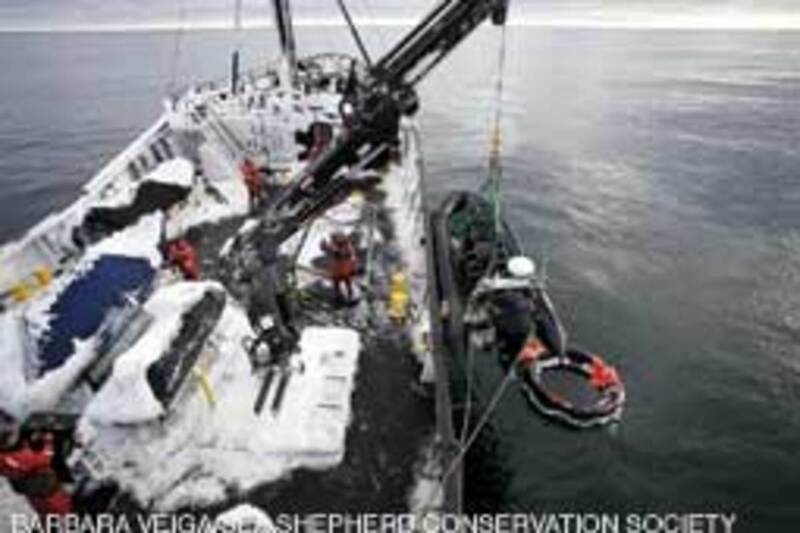 Paul Watson says on the organization&apos;s website what most were thinking: that Berserk&apos;s crew probably manually activated the EPIRB below deck, and when the boat sank in the near-freezing water, the EPIRB stopped transmitting. 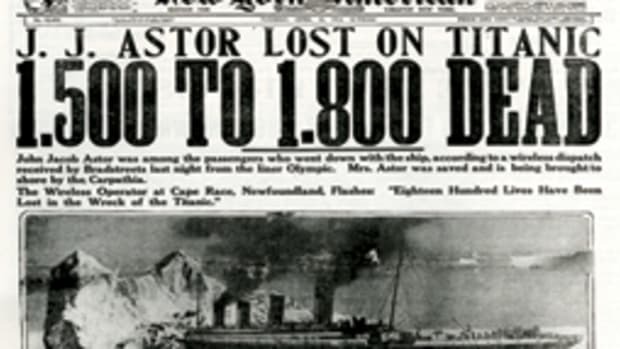 The "evidence suggests that Berserk sank at the position where the distress signal was issued and that it sank rapidly without the possibility for the crew to escape," Watson says. This is not the first time Andhoy and his "Wild Viking" crews - they change from exploit to exploit - have run afoul of authorities. In 2007, Canadian immigration deported Andhoy and one of his crewmembers out of Cambridge Bay at the west end of the Northwest Passage. Andhoy had failed to register his crew and boat with immigration authorities and tried to hide a crewmember who had been ordered deported for being a Norwegian associate of the Hells Angels motorcycle gang. 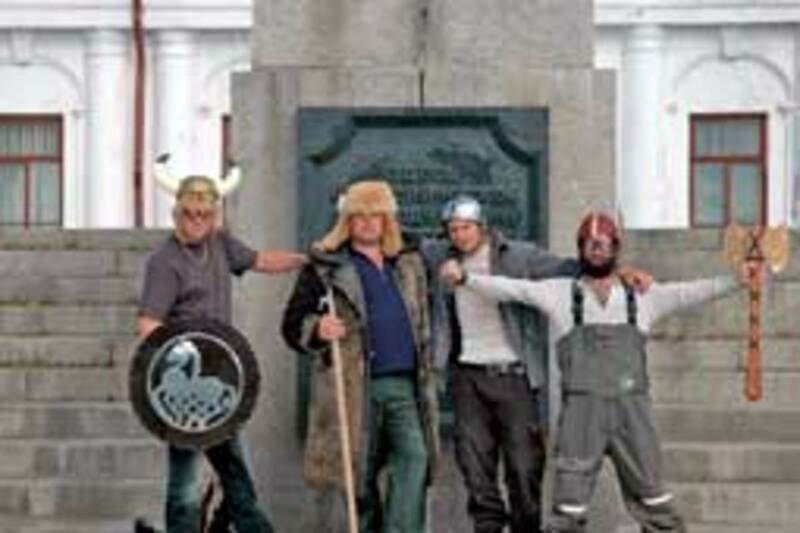 Earlier in 2002 and again in 2004 he butted heads with Norwegian authorities over voyaging into the Arctic without insurance or submitting a route plan, and in 2004 he was convicted of environmental infractions. Yet Andhoy, who first voyaged to the Antarctic in a 27-foot boat when he was just 19, is a seasoned sailor and adventurer. After his arrival back in New Zealand, he defended his latest expedition, telling reporters, "I think we did everything as good as we could. We prepared 110 percent." However, other veteran Antarctic voyagers took him to task for a poorly conceived expedition. 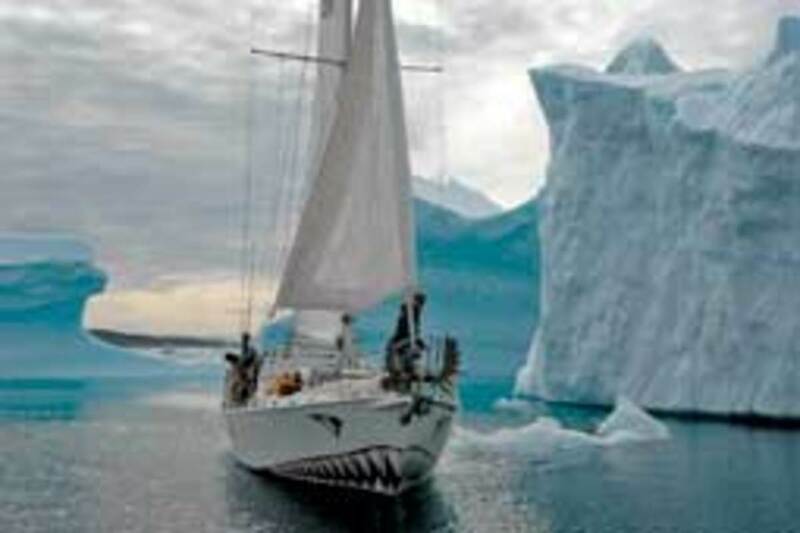 "This &apos;expedition&apos; of Berserk has been a fiasco, and there will be serious repercussions for all yachts and expeditions traveling to the Antarctic within the Antarctic Treaty system," says American Skip Novak in an e-mail to Soundings. 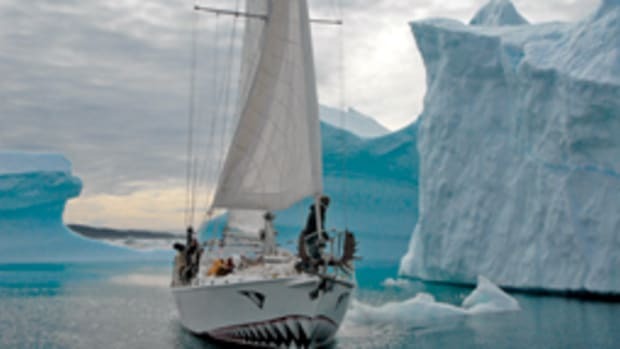 Novak has spent every season since 1987 in Antarctic waters on one of his two purpose-built expedition sailing vessels, 54- and 72-footers (www.pelagic.co.uk). "The timing of the whole thing was not to be believed. All polar journeys are usually done from late November to January. In late February, the temperatures are plummeting, the light going fast and ... the government programs are shutting down their field camps and suspending all air ops." Novak says he had no idea how Andhoy expected to get out of Antarctica after reaching the South Pole, since no reputable air operator would take on the job if he had no expedition permit. Novak also wonders if the crew that Berserk&apos;s skipper left back on the boat had the skills to be navigating in those parts. "How much sailing experience did that crew of three actually have, because anyone who was worth their salt and did their due diligence would never have been on board!" he writes. "Where and under what circumstances did they join the Berserk? 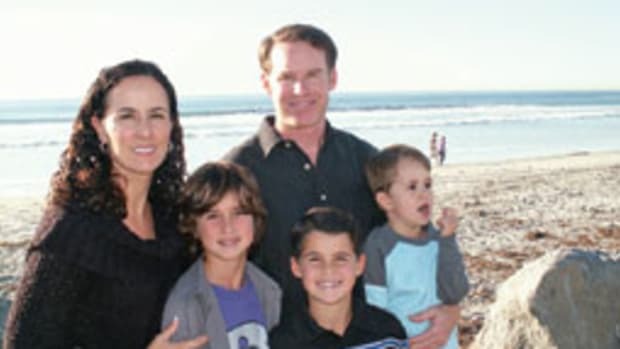 I suspect that these three were unwittingly led to their own deaths." 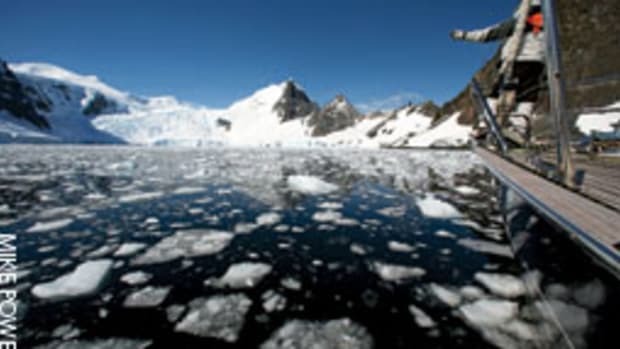 The Berserk tragedy raises a lot of concerns, says Australian Don McIntyre, who has voyaged to the Ross Sea the last six summers, most recently as expedition team leader on the 337-foot expedition cruise ship Orion. 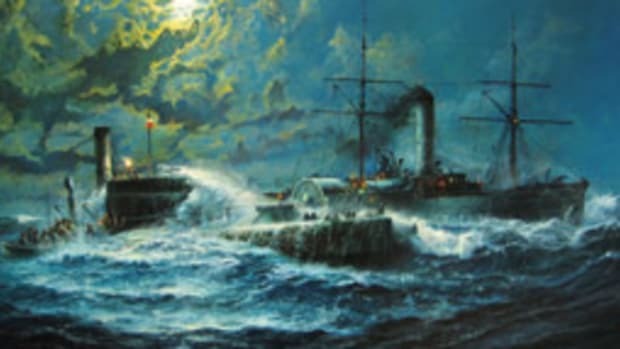 McIntyre says if you&apos;re going to sail to the Ross Sea in a small boat, it should be purpose-built, a "sailing submarine" capable of handling brutal winds and seas, icing and ice in the water "in the most extreme and isolated part of the planet. ... Berserk could have been lucky with the weather and gotten away with it, but you must always be prepared for the worst and you often - even regularly - get that type of weather in that part of the world. This time the gamble did not pay off." Yachts visit the Antarctica Peninsula at 64 to 65 degrees south latitude with some regularity, but to McIntyre&apos;s knowledge no yacht has ever ventured as deep into the Ross Sea as Berserk did. Scott Base lies at 77 degrees south latitude. 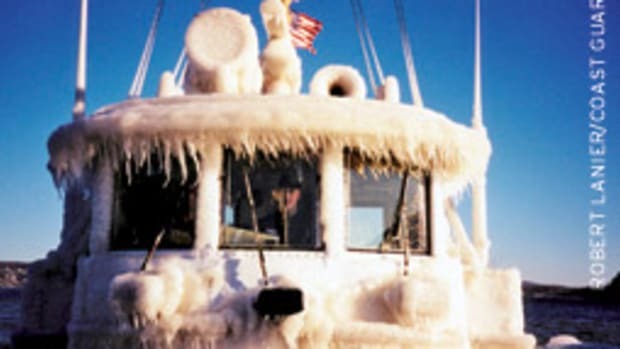 "Late February is not the time for a yacht to be in the Ross Sea," he says. "Even tourist ships are leaving then. I have seen the sea freezing over before my eyes on Feb. 17, turning to slushy ice, which can slow you right down, even stop you." McIntyre says it was "beyond anyone&apos;s comprehension" how Andhoy expected to make the South Pole starting that late in the season, or how he planned to fuel his ATVs en route. "[He] told me before they set off that the Russians had set up fuel drops for them and that they had an invitation to the pole from the highest officials," McIntyre says. "But I cannot believe they had fuel drops set up all the way to the pole and back. It would have cost millions of dollars. ... If they really were headed to the pole they would probably have died on the ice or risked other lives trying to help them. It was the wrong time of year." Getting a permit to undertake an expedition to Antarctica isn&apos;t just a bureaucratic formality, says Steve Wellmeier, executive director of the International Association of Antarctica Tour Operators, based in Providence, R.I. The process "makes you ask yourself a lot of questions," he says. It requires an expedition leader to do a risk assessment, to evaluate the expedition&apos;s environmental impact, develop contingency plans for the unexpected, make detailed search-and-rescue arrangements, provide for medical evacuation, have a communications plan to stay in touch with rescue coordinators, and carefully consider crew experience and survival training, the condition and design of the boat, and the equipment and stores the boat will carry. Wellmeier says a well-prepared permit application can save lives and give authorities a heads-up about who you are, where you are and what you are doing in case you get into trouble. "That&apos;s the value of the process," he says. "When you go down there, you&apos;re prepared, and people are going to know about your project."